For most of her life, Anežka Kašpárková (also known as Agnes) has been making her income by working as a farmer. Three decades have passed since her retirement and the elderly woman is now into her tenth decade of life. Despite that, she is living proof that age is not an obstacle in having a meaningful and creative time. 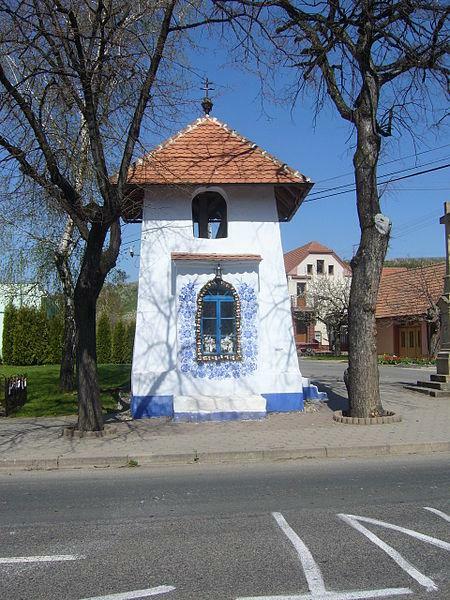 Ever since she retired, Kašpárková has used many of the sunny days each year to make her home village of Louka a little bit more beautiful. The village is found in the South Moravian region of the Czech Republic. The artist’s activity, which has not stopped with the advance of age, shows us that time can be spent productively and dedicated to beautiful things at any stage of life. 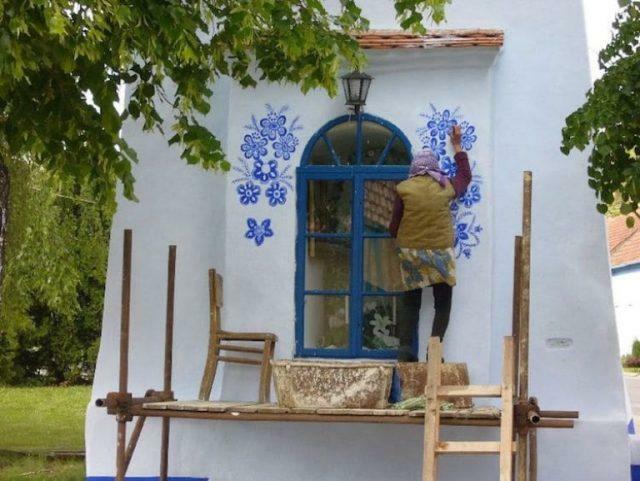 The elderly woman is now an expert on how to decorate window frames, doors and facades across her village with traditional Moravian folk art. She mostly works on flowery patterns, giving a fresh feeling to the old facades worn by time. This is, however, not new in the Czech village. Other women have done a similar type of decoration in the past and Kašpárková has worked tirelessly to continue the tradition. 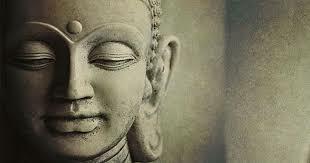 Her work has been celebrated all over the world, with numerous outlets and web pages sharing what she does. “I try to help decorate the world a bit,” she is recorded as saying. 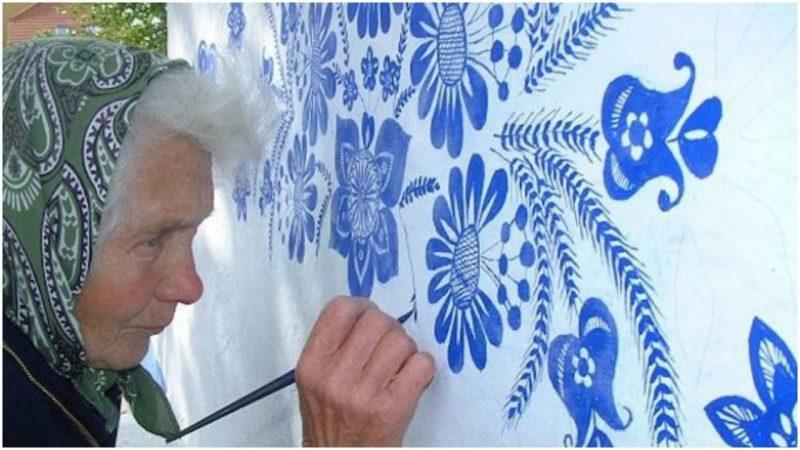 Kašpárková uses mainly blue paint and works simply with one small brush. Her color choice blends perfectly with the old, white-painted village houses and buildings. Kašpárková says that she does her artwork for the pleasure she gets from it, and that she never makes any plan how her next creation is going to look. She just takes up her brush and gets things going. 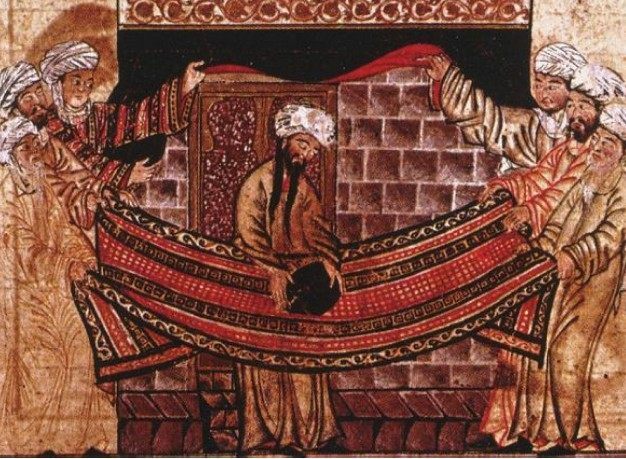 The final result — as can be seen in the photographs — is always a marvelous piece of art, a most pleasant sight for the eye. Given her age, Agnes complains that sometimes she finds it challenging to paint. Yet, as one old saying goes, where there is a will there is way, and this most extraordinary babička (Czech for grandma) seems to have always found the will. In fact, she has been comfortable enough to climb a ladder almost every spring and refresh the design on the village chapel. The practice of applying flower motifs on the facades of old buildings is present in other places around Europe. 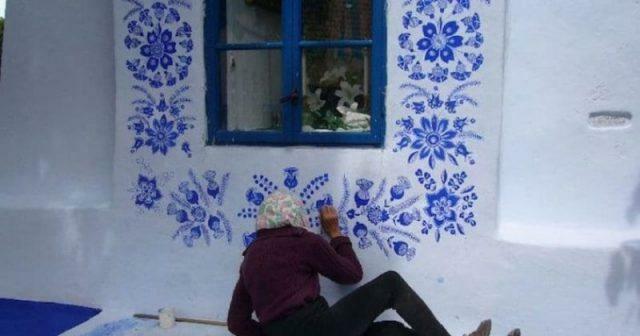 One village in Poland, Zalipie, has become a tourist attraction for its tradition of painting the houses. 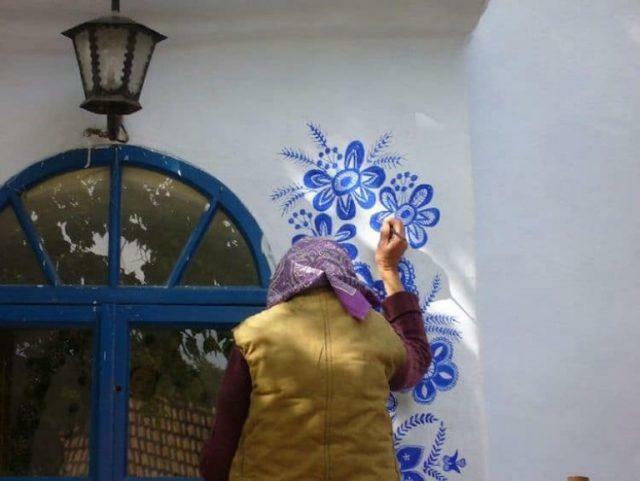 The local women began brightening up their cottages with painted flowers in the 19th century, and the annual Malowana Chata (Painted Cottage) competition, which began in 1948, ensures the tradition lives on. Kašpárková’s efforts have been compared to the work done at Zalipie.